Unilever benefits from A.S. Watson’s global data insights to launch TRESemmé haircare in China, aiming to expand TRESemmé offerings to the country. The launch strategy combined haircare expertise of Unilever with the retail knowledge, wide customer reach and market data insights of A.S. Watson, to develop a plan focusing on both online and offline activities. 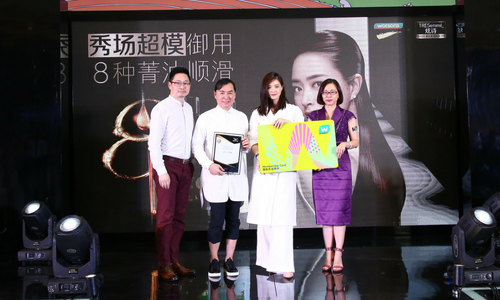 A.S. Watson targeted its 300,000 Watsons loyalty members to announce the launch through SMS and an additional five million shoppers were reached through a social media campaign on the app Dianping － described as the Chinese version of Yelp, alongside the in-store appearance of Chinese actress Jiang Xin at Watsons in Guangzhou, which was broadcast online. Following the launch, Unilever and A.S. Watson developed digital promotion plans. This joint approach has seen dividends with sales showing a promising 128% uplift compared to the average week. The retailer also uses segmentation and analytics to optimise results for brands by offering insights to help identify the right locations for specific brand launches and marketing activities. “This tailored approach has already seen dividends for our strategic partners and our customers and we look forward to launching more examples of innovative collaborations,”Ngai explained. In the growing global beauty market, expected to reach a market value of USD805.61 billion by 2023, brands need to access to category insights and data to ensure the development of products and strategies are in line with the customers’ needs, and speak directly to their target customers. Audience buying firm AdzCentral has added several digital media veterans to its senior team, following its SG$4 million funding. ..